Our privacy promise contains important information about The Private Care Company; who we are and how and why we collect, use, share and store personal information about you. This policy is about Your rights in relation to your personal information and how, in the event that you have a concern or complaint, you can contact us and other relevant organisations. You may also be interested in our policy: Data Protection Policy – Employees. We are The Private Care Company, a privately owned and run home care company that provides domiciliary home care services in Brighton and Hove. So that we can provide high quality care and support services to you we need to collect and use certain personal information. Personal information means any information which causes someone to be identified, it does not include information where an identity has been removed (anonymous data). Here we outline how we collect and use personal information in relation to people who enquire about and use our services. We share your medical information with appropriate external social or health care professionals (including your GP and pharmacist) and any individuals you have nominated as your representative as and when required. This data sharing enables us to establish the type of care and support you need. It also allows us to design the right care package to suit your individual circumstances, including if (in future) you decide to receive care from an alternative provider. We will share personal information with law enforcement or other authorities if requested or required. This includes information required by public bodies to evidence our compliance with the applicable regulatory framework. We are also required to share personal information with external social or health care professionals, including public bodies and local safeguarding groups (in some circumstances) to ensure your safety. We will share minimal and relevant information within The Private Care Company in order to provide safe and effective services to you. The provision of your medical, physical or mental condition is necessary to enable us to create a care plan and to provide you with suitable care and support services. Without this information, we will not be able to assess your care needs or provide any care services to you. 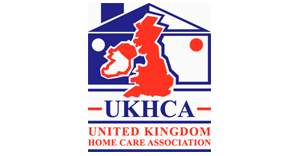 The provision of your name, home address is required so that we can arrange a care worker to attend your home to deliver the services and so that we can invoice you for the fees. If you would like further information please contact us (see HOW TO CONTACT US below or by clicking here). If you would like to unsubscribe from any marketing emails you can respond to that email with the words ‘unsubscribe’ It may take up to 14 days for this to take place. 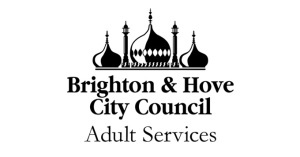 Quality Assurance Officer, The Private Care Company, Second and Third Floor Offices, 115a Church Road, Hove, East Sussex, BN3 2AF. Telephone: 01273 774 951. This privacy promise was first published on 25th May 2018. © 2019 The Private Care Company. Registered in England and Wales 7148974. All rights reserved.